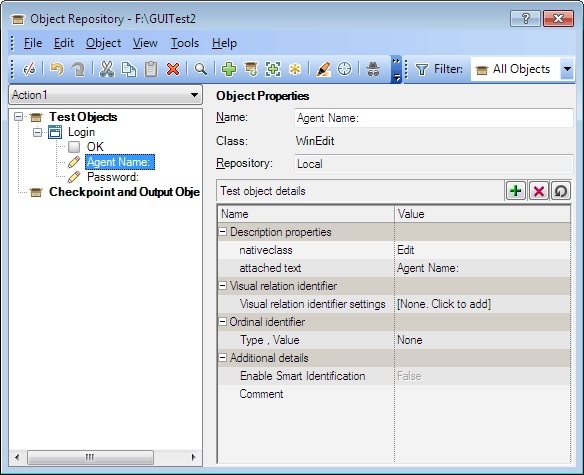 HP Unified Functional Testing uses VB Script as its scripting language. This is the only language that is fully supported by UFT’s IDE. VB Script supports Object Oriented Programming concepts but not polymorphism and inheritance. As of June 2017, UFT does not support Linux OS. Memory: Minimum of 2 GB when no more than three add-ins are loaded simultaneously. [Additional memory is required when loading more add-ins and when using the Save movie to results option to capture movies during run sessions. Free Hard Disk Space: 1 GB of free disk space for application files and folders. [You must also have an additional 120 MB of free disk space on the system disk (the disk on which the operating system is installed). It’s a license that is specific to the computer on which the tool is installed i.e. if two or more people want to work on the tool then each one of them has to install the seat license on their respective machines. This is a network based license that can be used by multiple users at the same time. This license is installed on a remote license server. Hence a particular number of users can work with the tool by connecting to the license server at the same time. Enter the URL of the application. Enter user id & password and then click on “Login” button on login page. Now consider a case where you have to test this login functionality many a times or you have to test the same functionality for large number of different users say a 1000 or more users. When should we automate using QTP? Tests that need to run for every build. Tests that use multiple data values for same action. When should not we automate using QTP? Test Cases that will only be executed once. Test Cases used for Ad-hoc/random Testing. Test Cases that are infrequently selected for execution. 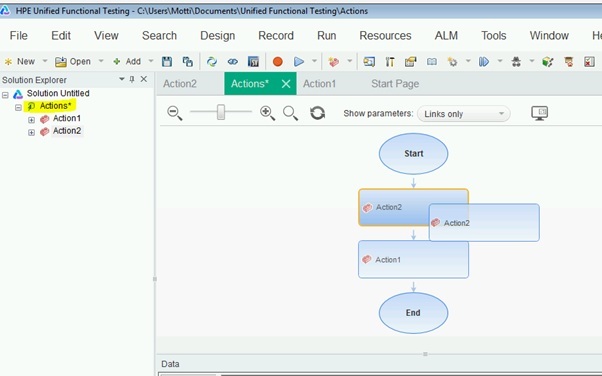 Test Cases that will require manual intervention ie a task not possible to automate. The most imp. one–based on the intuition and knowledge of application. Eg. if you find that you cannot escape from manual intervention. If you misspell for example the "myname" variable to "mynam", the script will automatically create a new variable called "myname". To prevent your script from doing this, you can use the 'Option Explicit' statement. There are standard rules for naming variables in VB Script. Must begin with an alphabetic character. Cannot contain an embedded period. A variable containing a single value is a scalar variable. Assigning more than one related value to a single variable is called an array variable. You can enter the data related to your test through data-tab from the menu-bar at the bottom of the window. This panel is the tree hierarchy of data sources that can be used with test. To view the errors encountered during performing automation testing, you can use the error tab from the bottom panel. You can move the QTP window panes to suit your own personal preferences. Say we want to Move the Solution Explorer. In the QTP window, drag the title bar of the Solution Explorer. As you drag the pane, markers are displayed in the active pane and on each edge of the QTP window. Drag the Solution Explorer and hold the cursor over the various markers. A shaded area is displayed, indicating the new location of the pane. Let's move it to Top. Release the mouse button. The Solution Explorer Pane snaps into place and is displayed as a new pane in the shaded area. Step 2: Record & Run settings shows a tabs corresponding to add-ins installed and loaded for your test. So, for example if you have SAP Add-in Installed and loaded you will see a SAP tab. The Windows Application tab is always available and be used for environments, such as Visual Basic, ActiveX, and terminal emulators. For the time being , lets stick to default settings .Once settings are done , QTP remembers and uses the same settings for additional record sessions on the same test, unless you manually open the Record and Run Settings dialog box to modify the settings. Step 4: Record the test steps. Stop recording. Save the script as "Login. Right Hand Side shows Test Results Summary. You can exports the results/defects to Quality center. 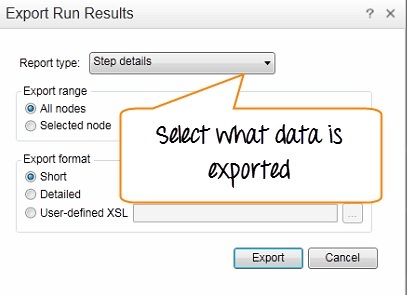 Parameterization enables you to run the same QTP test for different test data. Checkpoints adjudicate the pass or fail status to your automation tests. To achieve this, you can either copy the six steps or give different data values that are in fact something you would do manually, or you can use Parameterization. Syntax errors are the typos or a piece of the code that does not confirm with the VB scripting language grammar. Syntax errors occur at the time of compilation of code and cannot be executed until the errors are fixed. To verify the syntax, use the keyboard shortcut Ctrl+F7 the result is displayed. If the window is not displayed you can navigate to "View" → "Errors". If the script is syntactically correct but it produces unexpected results, then it is known as a Logical error. Logical error usually does not interrupt the execution but produces incorrect results. Logical errors could occur due to variety of reasons, viz- wrong assumptions or misunderstandings of the requirement and sometimes incorrect program logics (using do-while instead of do-Until) or Infinite Loops.